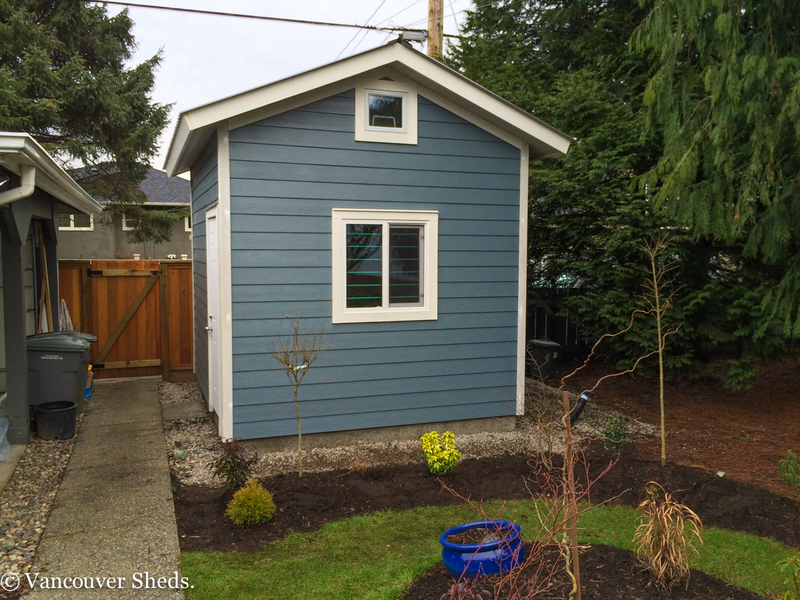 This was an interesting project. 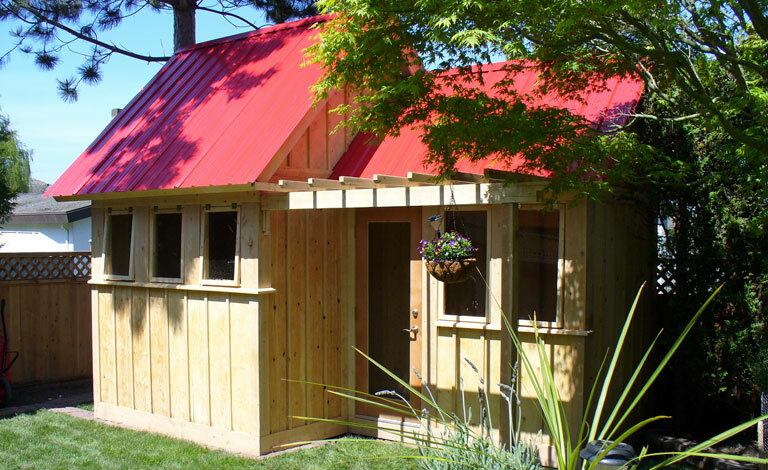 We were originally contracted to build only one heated studio shed. 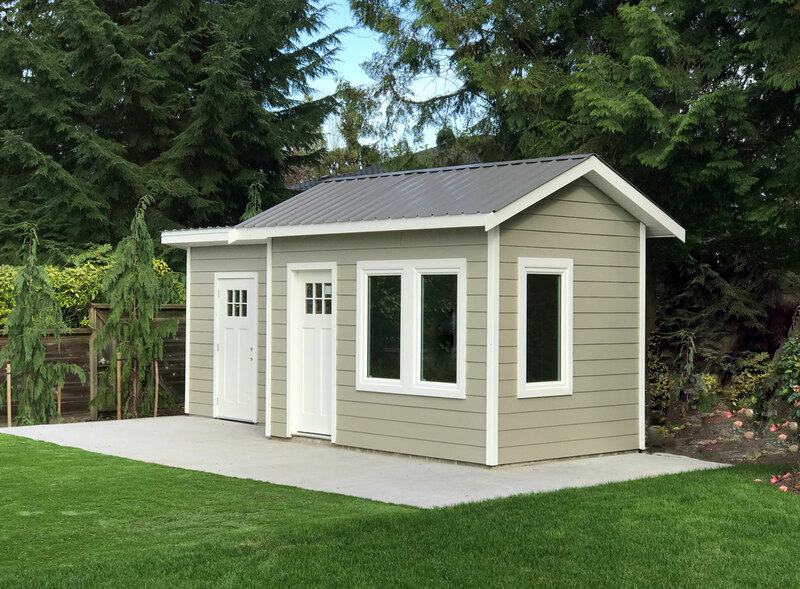 The first shed was intended to be used as a SHE Shed reading room. 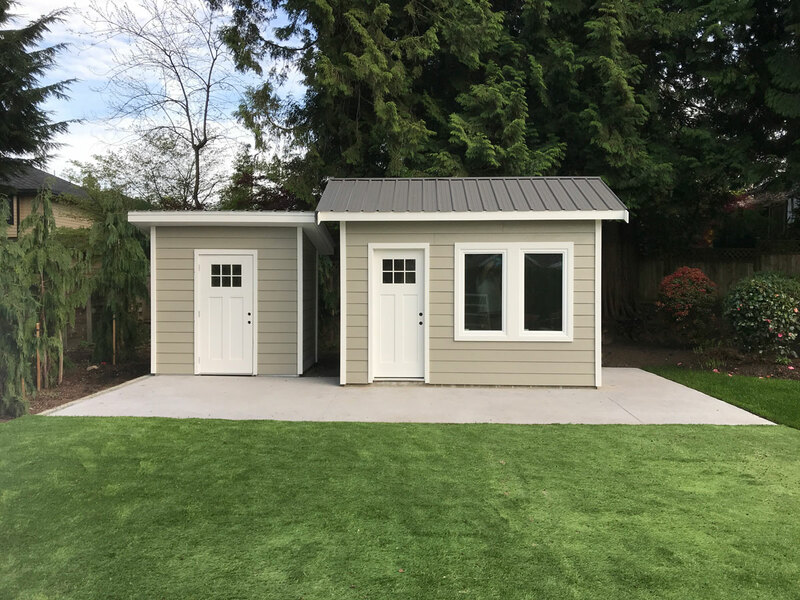 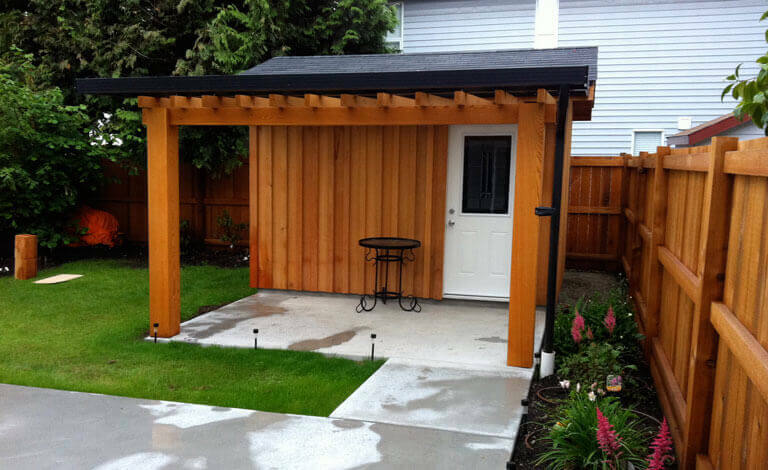 However, halfway throught the project, after the client could see that our quality was as good as promised, they contracted us to build a second smaller shed to store outdoor lawn furniture. 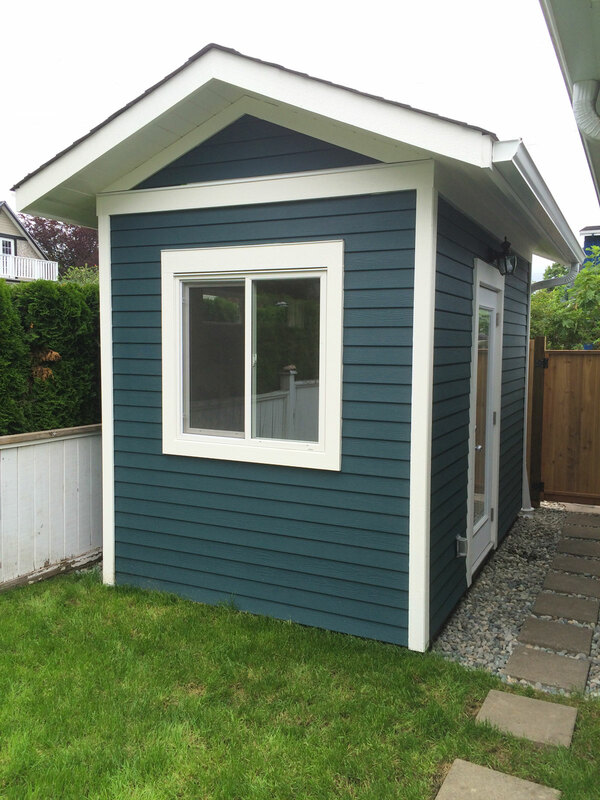 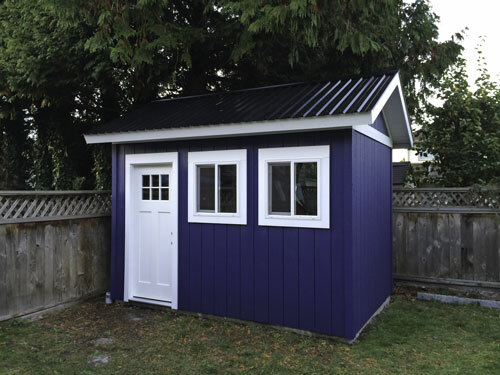 The main shed features custom ordered hand crank casement windows, color-plus hardi siding, and metal roofing. 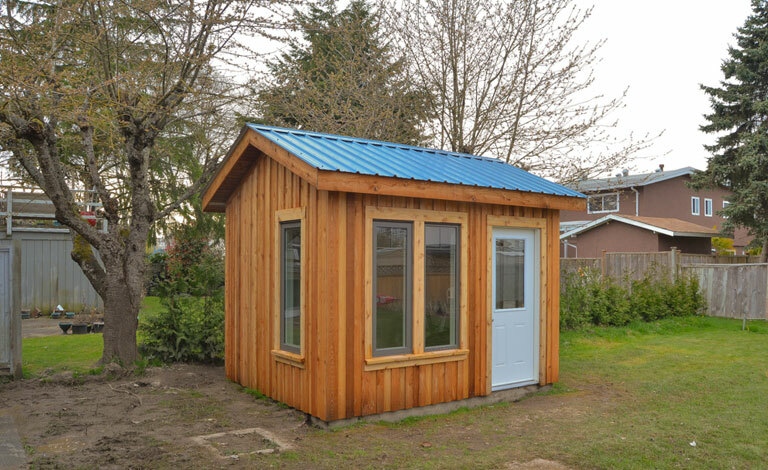 The shed is also, insulated, heated and has electricity with plugs and lights for all season use. 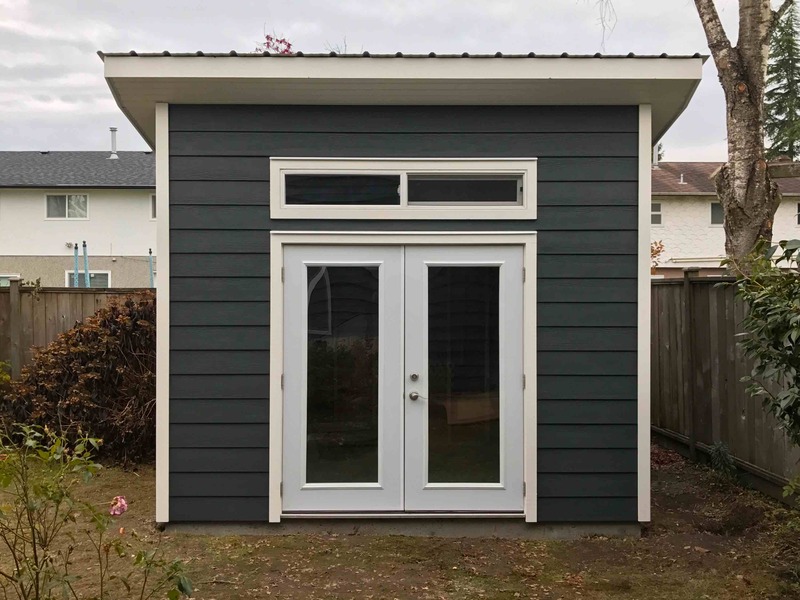 The second shed as noted above is primarily used for storage, as such it features an out swing door to allow maximum space usage and accessibility.